Nutrition Advisor LLC is both owned and operated by veterans. A percentage of our profits is donated in support of our U.S. Combat Veterans who are deployed abroad. If you are a veteran or family member of a veteran serving in a combat area, contact us about our calling card program that helps keep our troops deployed in combat areas in touch with their families. We have not denied a single request for support of our troops to date. Access to our members only section is free. Send us an e-mail or call 800-833-3220 for the username and password. We have our testimonials (including that of Celine Dion) and scientific and clinical studies posted here. Our Immunocal Audio CD is available without logging in to the members' area. Order from us with confidence. Nutrition Advisor LLC, our parent company, has been recognized as a leader in our field. Our website has the highest level of security (256 bit SSL encryption) and we are verified by GeoTrust, a world-leader in online security. We are a Health and Nutritional Products member of the Columbus, Ohio Chamber of Commerce. We offer most of our products at manufacturer's wholesale price, and have them shipped to you directly by the manufacturer. This ensures that your supplements are as fresh as possible, and ensures that they carry the manufacturer's guarantee. Many of our competitors warehouse their supplements and re-ship them to you "as is" with no guarantees and no returns. We believe we have the lowest prices on the internet for our products. If you can find a lower advertized price, we will beat it. We reserve the right to limit quantities if the advertized price is below our wholesale acquisition cost. Encourage natural and healthy weightloss. Calm, soothe, relax, induce sleep naturally. Are Safe, all-natural with no known harmful side-effects. Are clinically proven to work and are validated by scientific research. 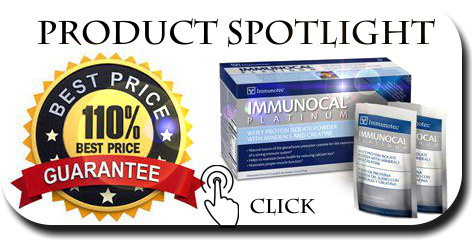 We are one of the oldest and largest and most successful distributors of Nutri Diem (Calorad) and Immunotec products including Immunocal and Immunocal Platinum in the USA and Canada (since 1997). We will soon be celebrating our 18th year in business and our 17th year on the web. We have a unique business opportunity for interested individuals. You can call us for "super specials" on selected products which we run at least once a month. We have an on-staff nutritionist who you can consult with nutrition and weight loss questions. You can actually reach a real, live customer service rep on the phone. No voice prompts. If you do get a recording, leave a message and we will call you back promptly. We are not aware of any unresolved customer complaints. We guarantee our low prices. We are a GeoTrust certified safe shopping website. We offer free weight loss tips and healthy low fat diet suggestions to help you keep the weight off. We are interested in building a long-term relationship with our customers, and carry a wide range of nutritional products. Most of our competitors have come and gone. We are here to stay. We guarantee that you will not find our products at a lower price from any authorized affiliate in North America. DISCLAIMER: We make no medical claims regarding our supplements. Our nutritional supplements are not intended to treat or cure any disease. The advice contained within this website is not intended to replace the recommendations of your personal physician or health care professional. Always consult your physician before embarking on any weight loss or exercise program, or when adding nutritional supplements or herbal supplements to your daily regimen. This website was originally Established on November, 7 1997.